Representatives from the Friends of Exeter St Thomas, Great Western Railway and the Devon & Cornwall Rail Partnership welcomed judges from the national Community Rail Awards to the much-improved station today. The station has been shortlisted in the It’s Your Station category. 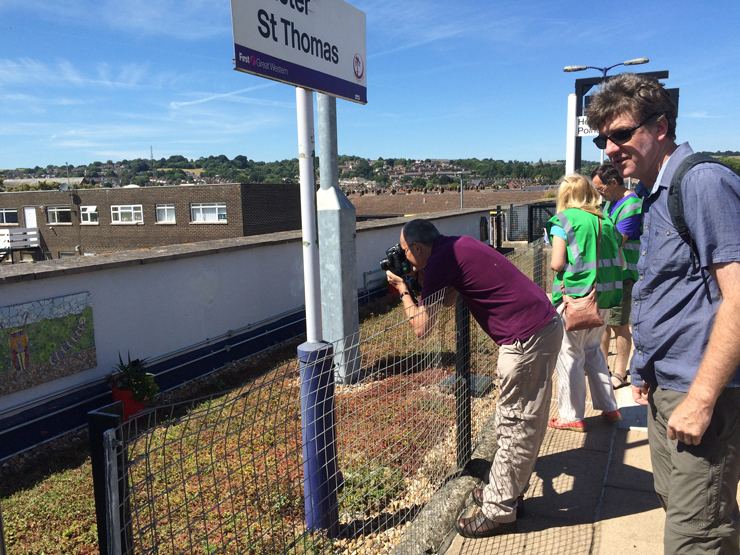 Judges Paul Bigland and Paul Cook chose a day of glorious sunshine to see the station’s eco garden, vintage photography exhibition and new facilities – which include ticket machines, CCTV and new waiting shelters. Read more about Exeter St Thomas and the five other shortlisted entries that the Devon & Cornwall Rail Partnership is involved in.